ITANAGAR, Nov 8: Chief Minister Pema Khandu expressed anguish over the Bomdila incident in which personnel of the 2nd Arunachal Scouts clashed with the police and vandalized the police station and the PWD office, which led to a huge public uproar in the hill town. The chief minister was addressing the 46th raising day of the Arunachal Pradesh Police (APP) at IG Park here on Thursday. “It was a very embarrassing situation for everyone. Such situation and incident should not be repeated in the future,” Pema said. Saying that state needs support from the army, the paramilitary forces and the police in order to govern, he urged the police and the army to maintain a cordial relationship. The CM informed that he participated in a meeting with the governor and top army officers this week to discuss the situation. He urged the home minister and the director general of police to encourage regular meetings between SPs, OCs and army commandants to nurture camaraderie and coordination between the forces. 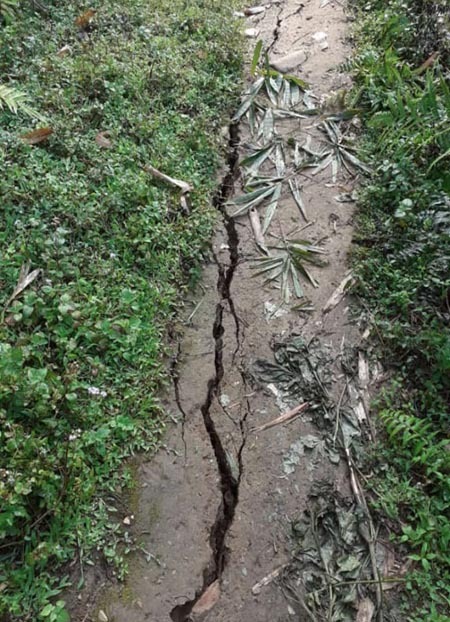 The Arunachal Scouts had vandalized the Bomdila police station on 3 November, the day after two of its jawans had been detained by the police and reportedly beaten up. Greeting the police community on the occasion of their raising day, the chief minister informed that the state cabinet has agreed to create more than 700 posts in the civil police very soon, and that the posts would be recruited to through the Staff Selection Board. “For the recruitment to the 1,400 vacant posts in the department, the process has already been started,” Pema said. He also informed that more than 1,000 constables who have served for more than 20 years would be promoted as head constables. The CM said that, apart from prioritizing other departments of the government, maintaining law and order and strengthening the police department are some of the key areas. Asserting that the state’s resources would be used for modernizing the police force in the days to come, the CM said more reformations would be carried out in the department if his government comes to power after the 2019 assembly elections. Earlier, Director General of Police SBK Singh expressed appreciation for the state government for its decision to promote the senior constables. He also informed about the inauguration of the women police station in East Kameng HQ Seppa. 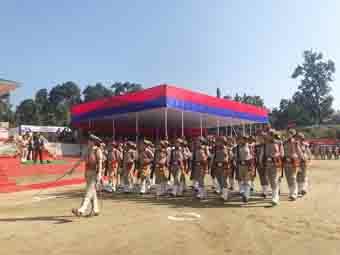 The Arunachal Pradesh Police was established in 1974, with the first batch passing out on 8 November of the same year from the Banderdewa Police Training Centre (PTC). A colourful parade, including by the PTC’s Special Task Force (STF), besides drills on disaster rescue and fire rescue were some of the highlights of the celebration. STF commandos presented a rescue-and-raid operation drill, which enthralled the spectators. An unarmed combat demonstration was presented by young practitioners from the Arunachal Pradesh Police Sports Control Board Club, Chimpu, led by Inspectors P Nobin Jomoh and Bulang Marik. Home Minister Kumar Waii and Legislative Assembly Speaker TN Thongdok were also present on the occasion. The police in Namsai district also celebrated the 46th APP raising day with various activities. Mein also flagged off two police tourist vehicles for the district.